German Girl in fitted, short summer dress with blue grid pattern. 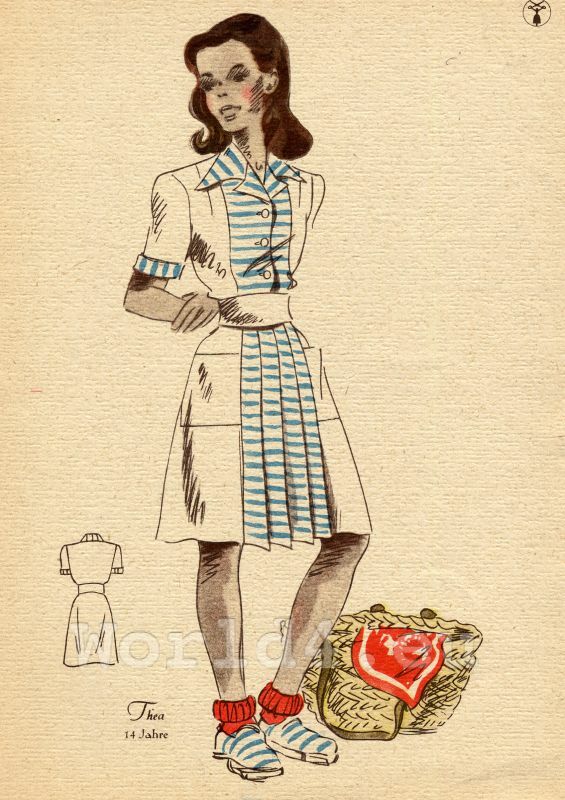 Girl in fitted, short summer dress with blue grid pattern, side pockets, blue belt and white collar. A dark blue hair ribbon and red shoes. Vintage child costume. 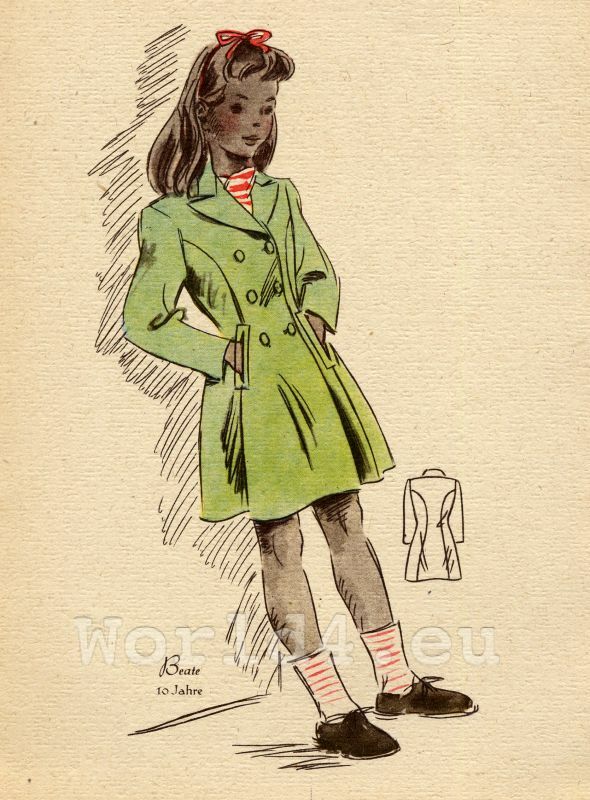 German School girl clothing 1940s. Costume drawing. This entry was posted in 20th Century, 40s, Child, German children fashion, Germany and tagged Children Costumes on 8/6/13 by world4. Vintage children costumes. 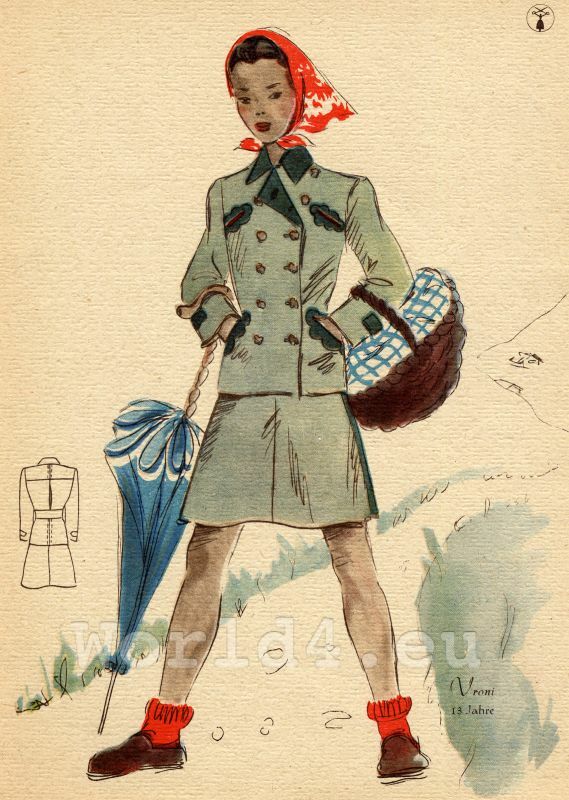 German Girls clothing 1940s. Costume drawing. 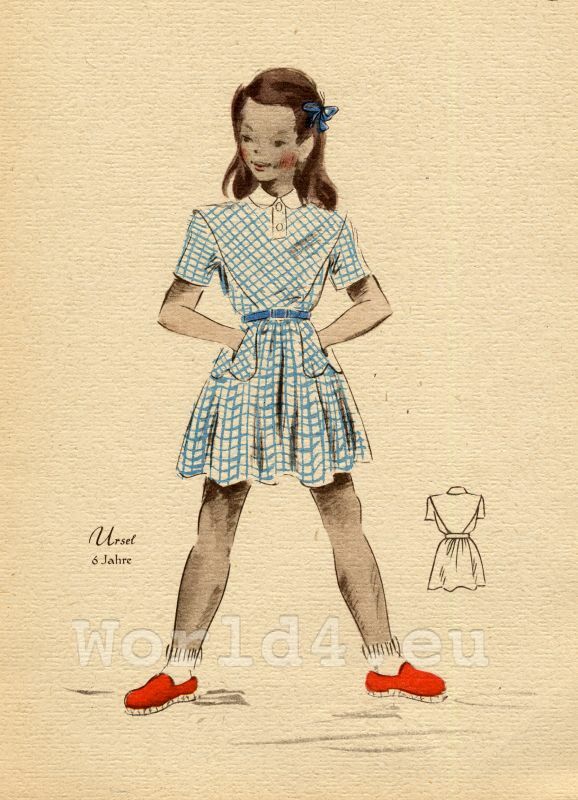 This entry was posted in 40s, German children fashion, Germany and tagged Children Costumes on 8/6/13 by world4. 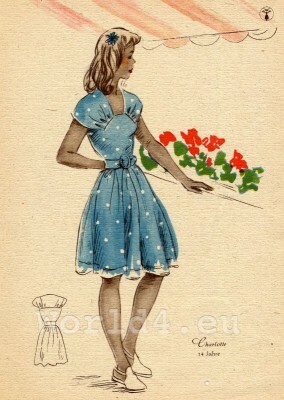 Fancy blue doted teenage dress. 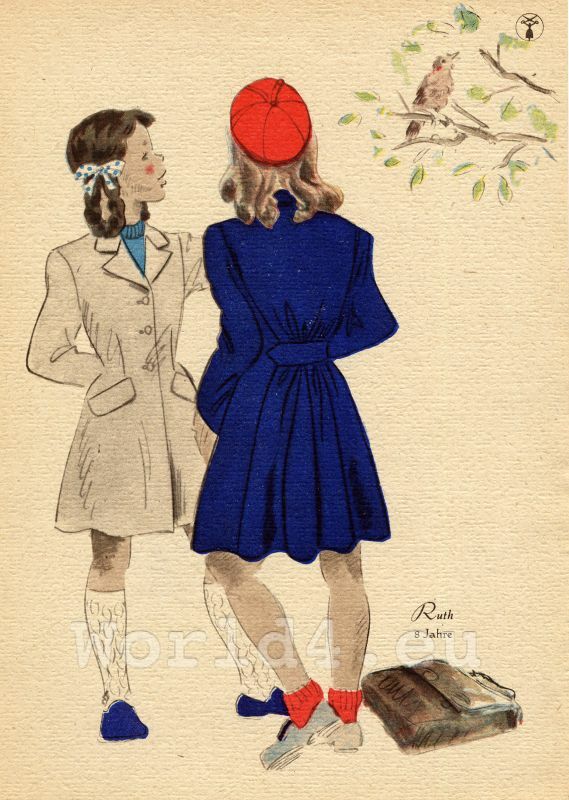 German Girls fashion in 1940s. Vintage children costume. Girls boho clothing 1940s. Costume drawing. 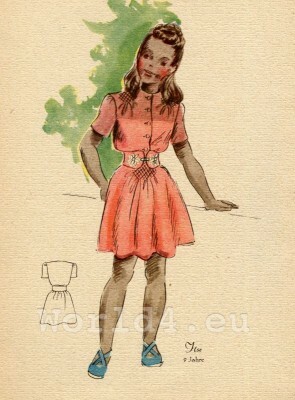 This entry was posted in 40s, Child, German children fashion, Germany and tagged Children Costumes on 8/6/13 by world4. Girl in the Green Raincoat. 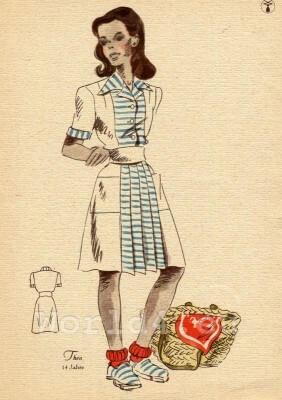 Girls dress 1940s. Vintage Children Fashion. Girls dress 1940s. Vintage children costumes. German Girls clothing 1940s. Costume drawing.. Girl in red dotted dress with white collar and puff sleeves. Girl in tight suit. Jacket with double row placket. Girl in tight suit. Jacket with contrasting double collar and double row placket. Red Bandana, bast basket and blue umbrella. Red Sox to black loafers. 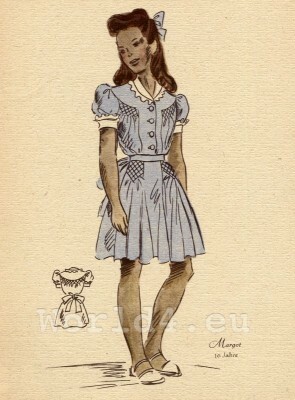 Girl in powder blue, knee-length dress. 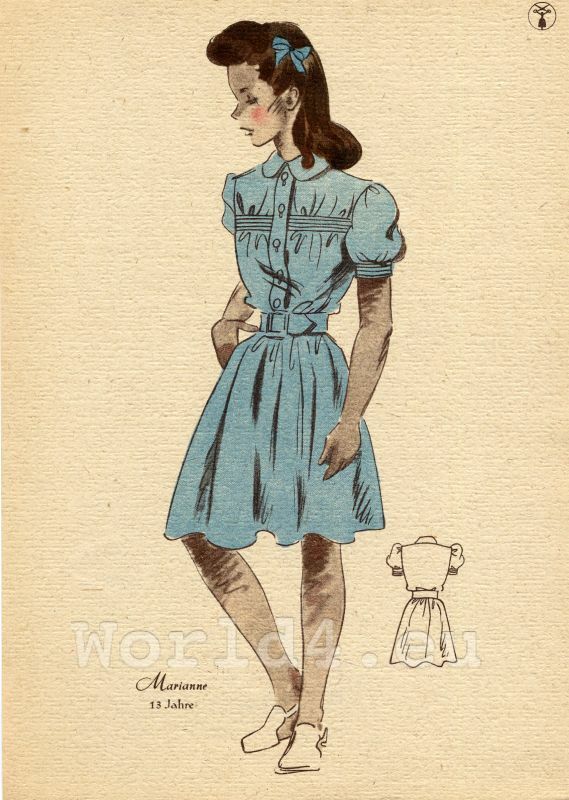 Girl in powder blue, knee-length dress with short puff sleeves. Fitted with sewn-on chest pockets. Vintage children costumes. German Girls dress 1940s. Costume drawing. This entry was posted in 20th Century, 40s, German children fashion, Germany and tagged Children Costumes on 8/6/13 by world4. Girl in lavender color dress with puff sleeves and hair ribbon. 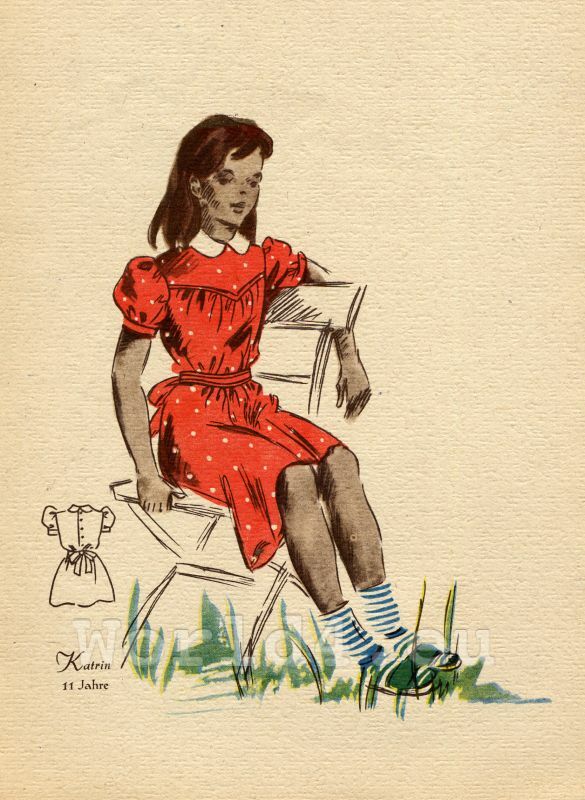 Girl in red belted dress. German children fashion 1940s. Girl in red belted dress. 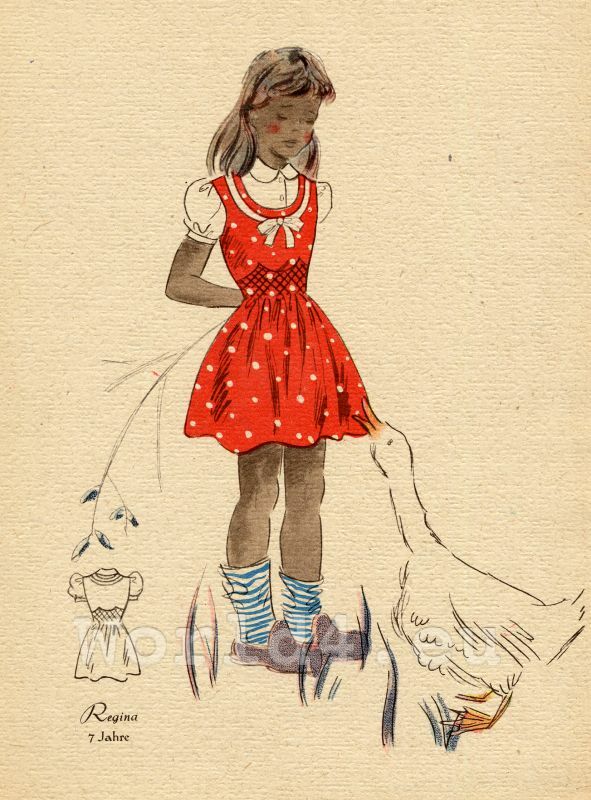 Girl in red dotted dress and white blouse.